This is a supplement to the previous article, Dual Purpose Ward Spots. There was an excellent ward spot that I wasn't able to place with 100% consistency, and I wasn't sure why it was failing, so I held off posting it until I had figured it out. I'm detailing it here, as well as updating the original post, for the benefit for new and existing readers. Series presented by Princess and the Frog. 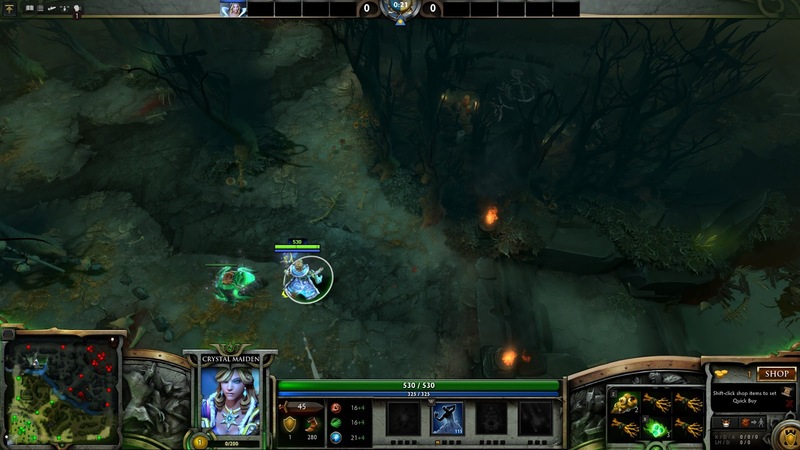 The Dire bot lane uses this ward spot to get vision of the rune and gank path. This ward spot also blocks the Radiant Hard Camp. This also gives vision of Radiant jungler movement and possible path for Radiant mid moving bot through the forest instead of river to gank. This is also less likely to be de-warded as well.